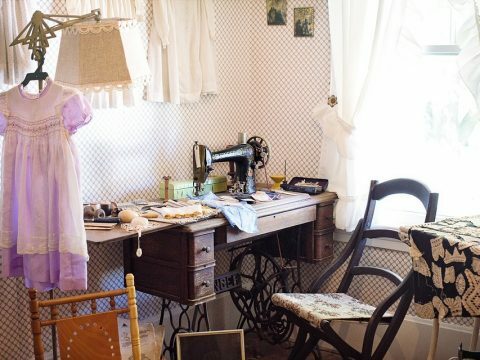 Everyone with a craft room knows that organization can be a hassle. Tiny beads, spools of ribbon, and bundles of tangled yarn lay spread across the room. 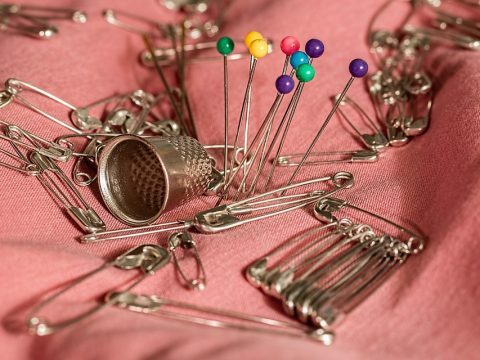 Keeping your crafting supplies clean and neat can be a difficult task, but with these simple and cheap tips, you can be a pro at organization. One simple way to organize all your craft clutter is by assigning each item a basket, complete with its own label on the outside. Each basket should only contain one type of crafting item. Labeling the outside of the baskets will remind you never to mix supplies or throw them in whichever basket is closest. The labels will hold you accountable to finding a supply’s rightful home. Jars with labels can provide this same level of organization but are better suited for items you do not want to open or spill, such as sewing needle packages. This concept can also be achieved with custom drawers or shelves. Each drawer can contain one type of crafting supply, labeled on the outside. This trick can virtually work with any storage device: baskets, jars, dressers, crates, boxes, tubs, etc. Choose whichever type of storage device works best for you and run with it. No need to go out and buy jars if you already have a dresser handy! Just don’t forget the labels. These make you accountable for what should be in which storage container at all times. If you need a professional organizer to bounce ideas from, look for a closet contractor or cabinet maker near you. One easy way to store larger items in your craft room is with a pegboard workstation like you might use in a garage. Frame the pegboard with wood trim to create a more polished look and mount the pegboard onto the wall, a little higher than eye level. You can paint the pegboard to fit your craft room décor as well, getting rid of that boring brown color they come in originally! Once you have the pegboard mounted, you will be able to insert pegs or hooks into the holes and organize large object into the board. This is a great way to hang up scissors, hammers, tape rolls, screwdrivers, etc. Larger items are not as easily organized in drawers or boxes, so a pegboard workstation brings these items into a more useable realm. The items are on display, yet organized and ready to be found and used. Don’t waste any more time digging around in drawers to find a pair of scissors. Paper Towel Holders Aren’t Just for the Kitchen! House rolls of ribbon, duct tape, masking tape, and washi tape on a paper towel holder. You are able to paint, or spray paint, a plastic paper towel holder to match the décor in your crafting room. You can pick up a metal paper towel holder for a universal, ready to go look. All your spools of tape and ribbon can easily be slid onto the paper towel holder and mounted to a wall for a simple fixture. Finding your ribbon and tape on the paper towel holder are much easier than rummaging through a drawer filled with washi tape galore! This paper towel holder trick can work with many items. Items that can be hung from clothes hangers or draped over the circular holder’s surface can easily be organized with this trick as well. 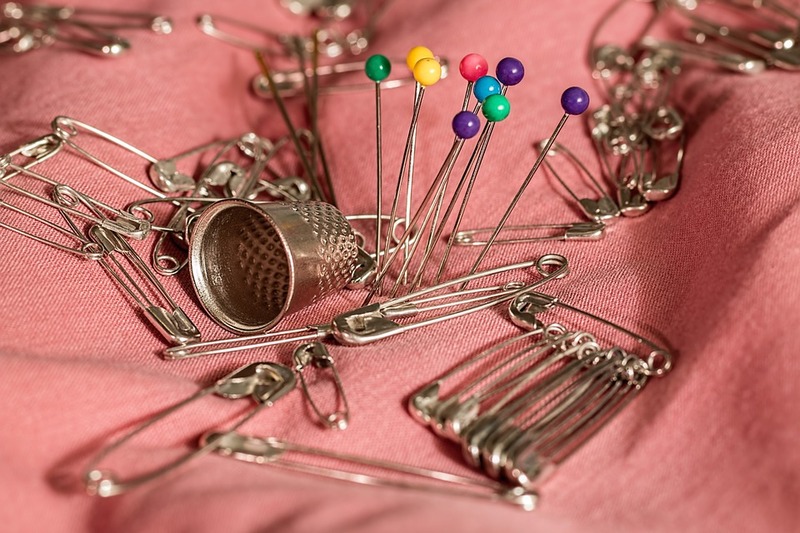 It can be difficult to keep a craft room organized amid all the sewing, painting, and knitting supplies. Using these simple techniques, you can create a functional, organized space that will dramatically decrease time spent digging for supplies. When you can quickly find the scissors and tape, you can spend more time crafting! With these simple tricks, you’ll be the envy of all your crafting buddies!